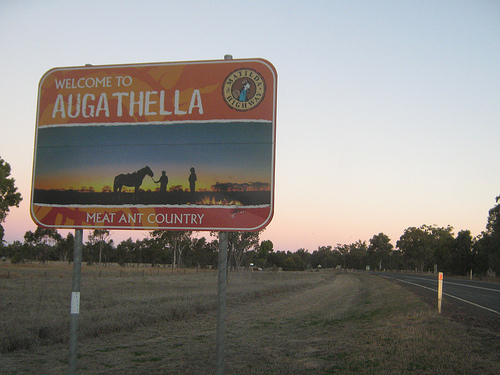 Augathella is a small town in outback Queensland. It's a sleepy township surrounded by some flat grazing country with a lot of sheep. 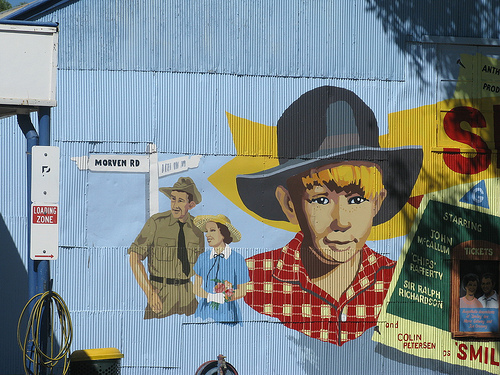 There is an arts centre, the Kenniff Tree, and a few iron sculptures and colourful murals. If you like walking there are the River Walk and the Heritage Trail. If you like four wheel driving there is the 4x4 Stock Routes Trail. 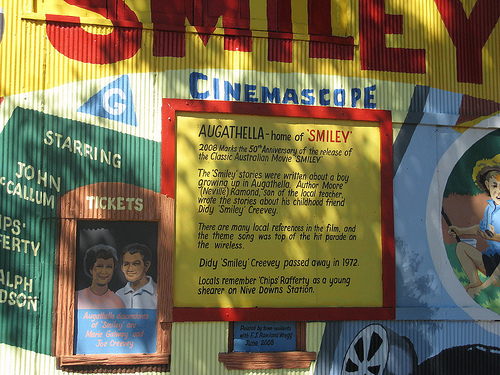 There is also the Moonlighter's Theatre, Photographic Exhibition, and the town's cemetery. And nowadays there is one of Australia's 'Big Things' - the big meat ant. There is an old outback pub - the town's hotel, and there is also a public swimming pool, a bowls club and a caravan park. And there is the annual Diggers Rodeo and Races on the Easter weekend - a great outback event.